Guides to citing sources for college papers and presentations. Activate the tab in this box for the style guide you need. In general, APA is used by psychology, sociology, and some science classes; Chicago/Turabian is used in history courses; and, MLA in English Classes. Check your instructor's requirements. QVCC's Quick Start APA style guide available online. View the WriteSource sample paper for layout and style help. View Purdue Owl's Reference list examples and sample in-text citations. Full print manual available to use at the QVCC Library. Visit our Footnote page for how-to video/guides. See Bristol Community College's Quick Style Guide to MLA-8. Try MLA templates to gather necessary citation elements. View Purdue Owl's sample paper and Works Cited list examples. See MLA Style Center Guides and Tutorials. A complete, print MLA manual is available for use at the QVCC Library. Videos, step-by-step guides and online resources for citing sources using Chicago Turabian footnotes. Learn what to cite in just 3 minutes. Video created by Hartness Library at CCV/Vermont Tech, licensed under Creative Commons license. KnightCite is FREE and you can save your work, even save multiple projects. You can edit and save your changes. Create a free account to access all services. Shared by the Hekman Library, Calvin College. 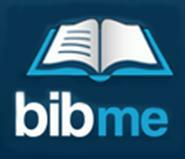 Bibme's free version will not let you save your work. Copy and paste immediately. Citefast provides FREE citation generator tools. If you create an account you can save your work.